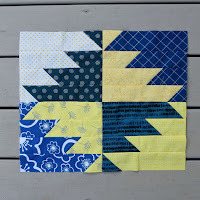 Program: Piecing Round Robin: Accurate 1/4 inch, Freezer Paper Piecing and Improv Piecing! It all begins, this Saturday, October 14th with what we are calling a Round Robin Extravaganza. Our feature topic is "Piecing". 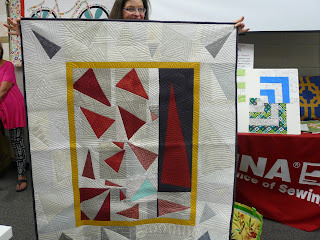 We are going to have three demonstration tables where one of our own GMQG member's will showcase and demo a different piecing technique. You will be able to rotate and attend all three. 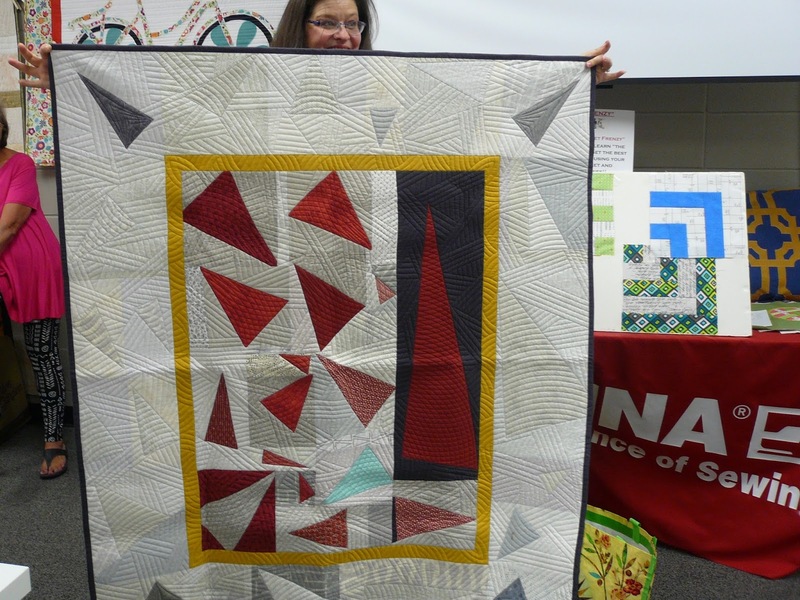 What better way to add to your quilting expertise. 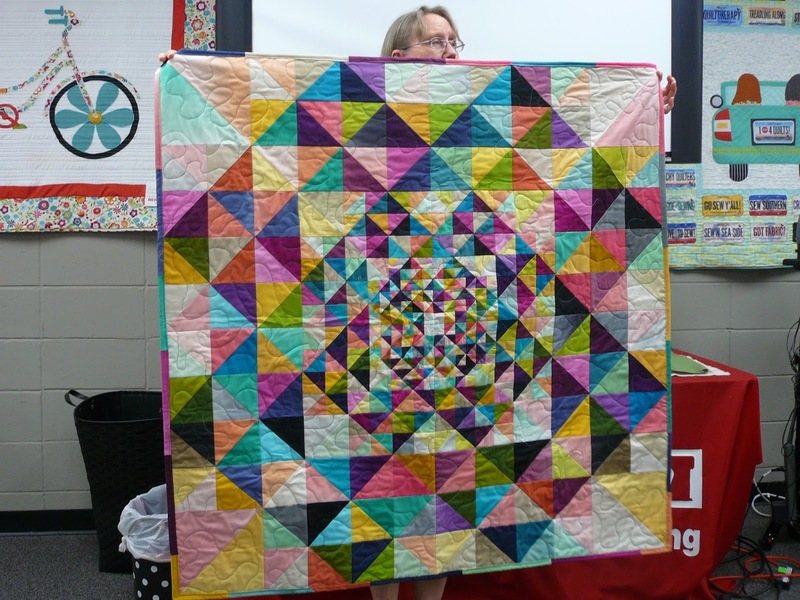 Block size: 15 1/2" x 18 1/2"
This pattern contains an error. Please read through these edits for a successful block. 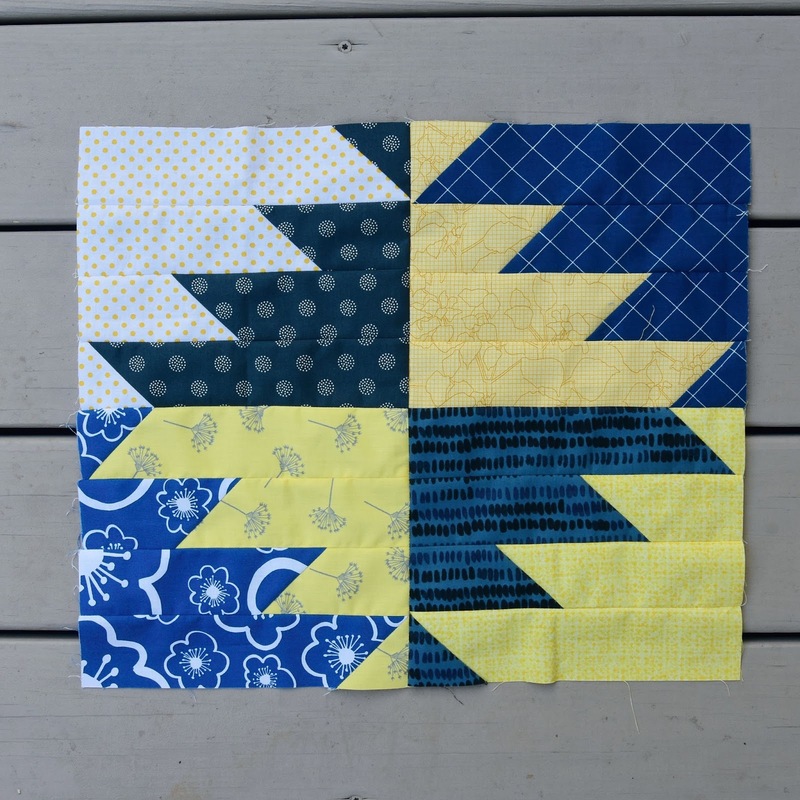 When making the HST, draw the diagonal line on the yellow 10" sq and press seams towards the blue fabric. 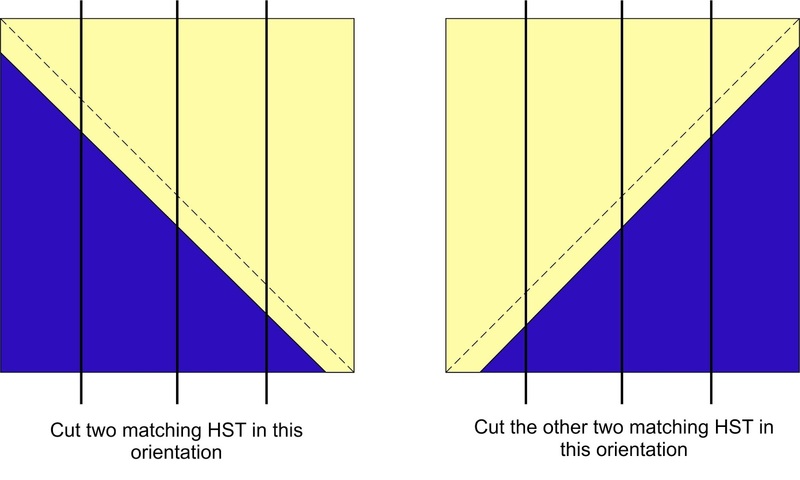 When cutting the HST in half then half again, your cut lines will be at 4 3/4" and then 2 3/8". Do NOT cut all 4 of your HST according to Diagram 3. Follow the following cutting diagram attached.